In the last 20 years, functional MRI (fMRI) has been an exciting development. Since its appearance, it has been extensively used in studies on movement disorders. This chapter will briefly introduce a basic overview of fMRI. We will then focus on the successful application of blood oxygen level-dependent (BOLD) fMRI in idiopathic Parkinson disease (iPD), a common and critical movement disorder. BOLD fMRI has been extensively used to understand the neural correlates of motor deficits in iPD from both a regional brain activity and network basis. This technique has also provided new insight into nonmotor deficits such as cognitive, psychiatric, and olfactory impairments. fMRI studies on asymptomatic gene mutation carriers have found a compensatory reorganization of striatocortical motor loops to maintain motor function in the preclinical stage. More recent resting-state fMRI studies have identified iPD-specific spontaneous neural activity or network connectivity patterns. The role of arterial spin labeling (ASL) perfusion MRI in iPD is discussed. fMRI findings in atypical parkinsonism, including multiple system atrophy (MSA), progressive supranuclear palsy (PSP), and dementia with Lewy bodies (DLB) are also presented. 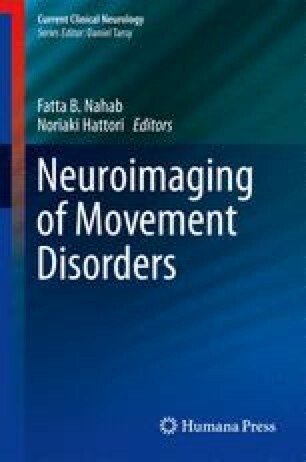 Despite some limitations, future fMRI studies will enhance our understanding of pathophysiological changes in movement disorders. fMRI also has potential to be developed as a neuroimaging biomarker of iPD, with the potential to improve early diagnosis, monitor disease progression, differentiate iPD from other parkinsonisms on an individual basis, and may identify novel targets for future therapies.